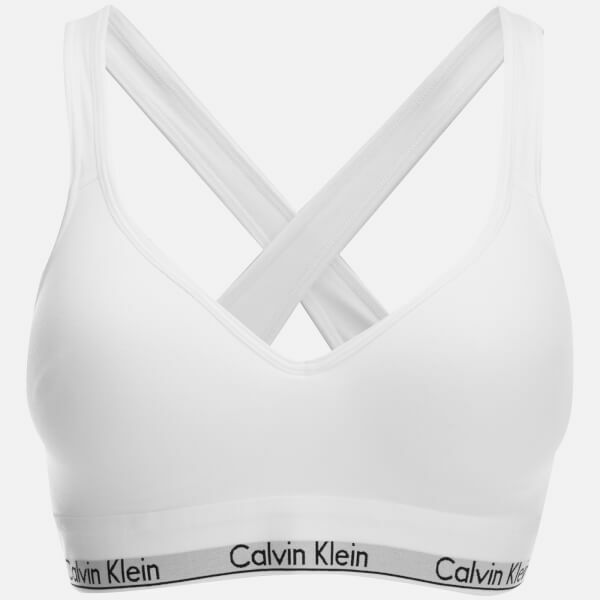 Women’s modern white lift bralette from Calvin Klein. Crafted from a pima cotton blend, the stretchy unlined bralette features a sports-inspired design with cross over straps to the back and a low cut neckline. Complete with a signature Calvin Klein branded elastic underband.